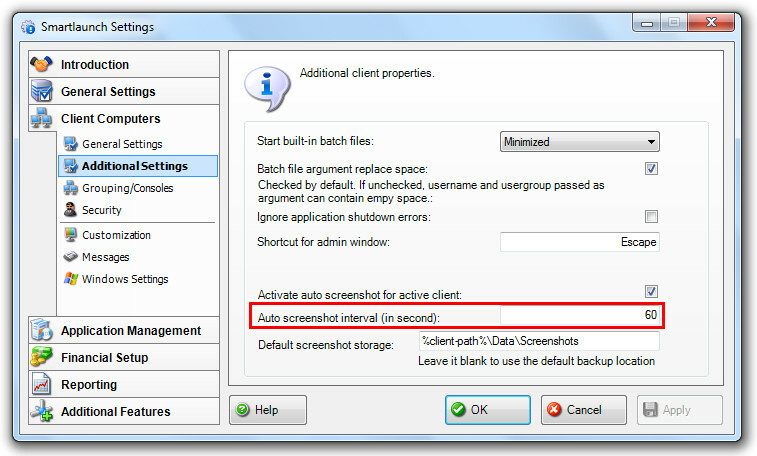 This feature allows you to create auto screenshots for active clients with intervals in seconds. 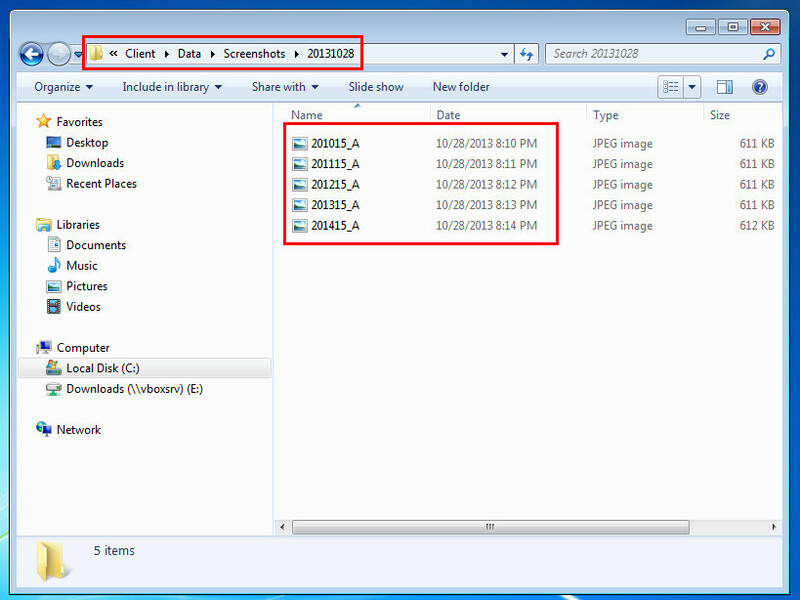 You can also manage the location of those screenshots in a default folder or a folder you choose yourself on your computer. 1. 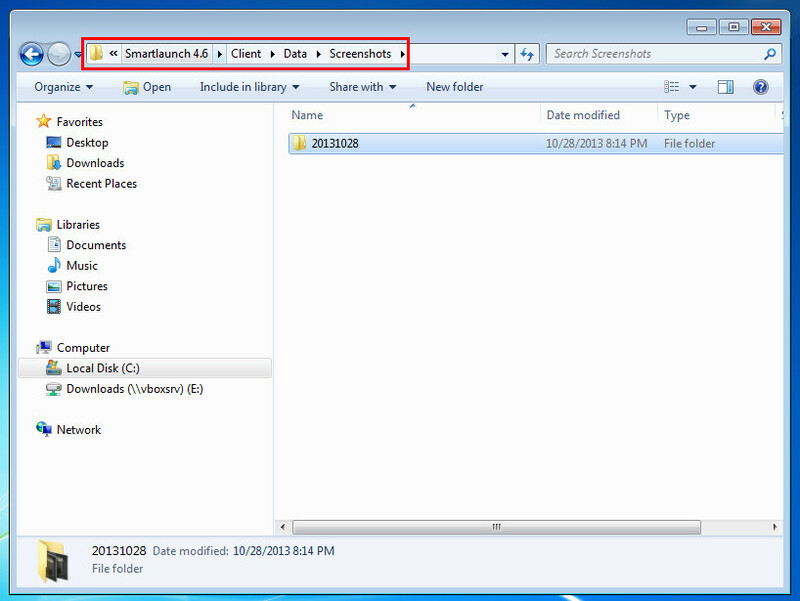 Open Smartlaunch Server >> Client Computers >> Additional Settings. 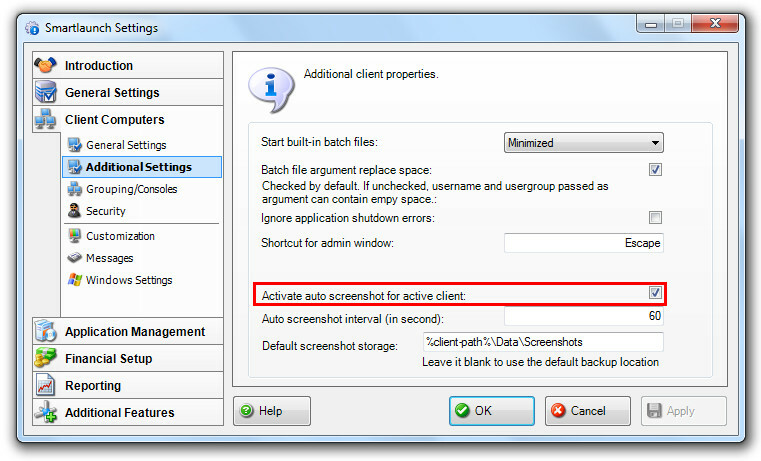 Click on the checkbox “Activate auto screenshots for active client” if you want to make auto-screenshots otherwise uncheck it. 2. Setup interval in seconds. Choose how often the screenshot should snap. For example if you want to make a screenshot every 1 minute, you should change the interval to 60. 3. Setup default screenshot storage. 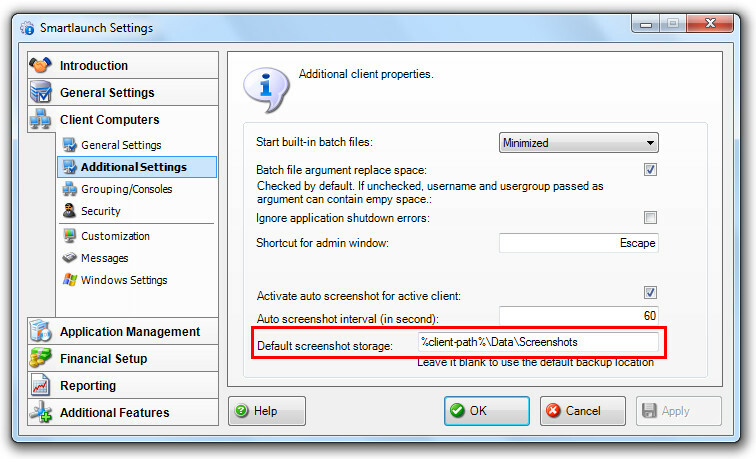 You can leave it blank to use the default screenshot location otherwise you can define your own location as the storage of all those screenshots. 4. Once you configure the settings, the Smartlaunch Client will create screenshots every time a user logs into the active client. 5. 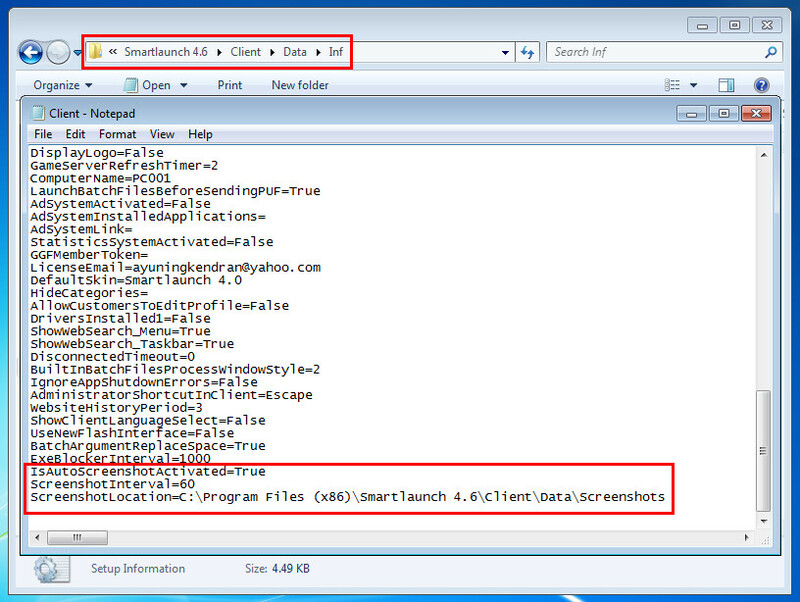 All these settings are also available in Client.inf file located in your Smartlaunch installation folder of your Smartlaunch Client.